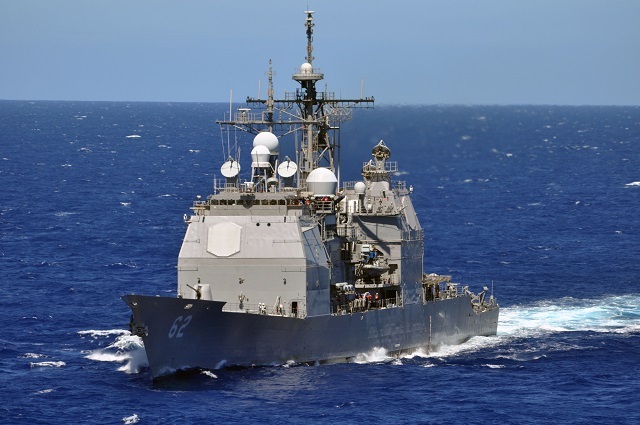 The U.S. Navy announced that the guided-missile cruiser USS Chancellorsville (CG 62) will join the Forward Deployed Naval Forces in Yokosuka, Japan. As part of the U.S. Navy's long-range plan to send the most advanced and capable units to the Asia-Pacific, Chancellorsville will leave her homeport of San Diego and deploy to Yokosuka in the summer of 2015. Chancellorsville completed a combat systems update through the Navy's Cruiser Modernization program, making her among the most capable ships of her class. She is fitted with the latest Aegis Baseline 9 combat system, and will be the first to be forward deployed with that capability. The Baseline 9 suite of capabilities includes state-of-the-art air, surface, and undersea warfare systems needed to directly support the carrier strike group.